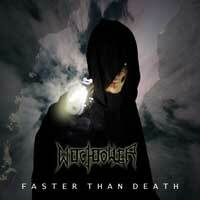 Wicthtower is a death/Thrash metal band from Germany and formed in 1998. SO far they have 3 albums Anthems Of Decay Full-length, 2000, Under Fallen Wings Full-length, 2001, Faster than Death Full-length, 2005 . Benjamin - Guitar is also in a band called Depredation.